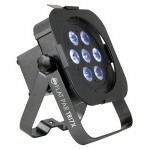 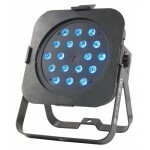 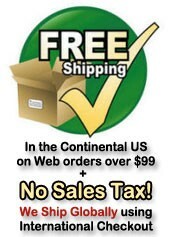 ADJ Black Lights add excitement to any light show or lighting installation. 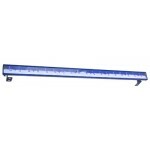 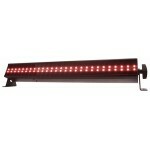 The redesigned ECO UV BAR DMX offers the hassle free use of LED and the user control of DMX-512. 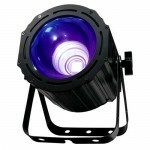 This ultraviolet LED fixture is great for performance stages, theatrical productions, special effects installations and mobile light show. 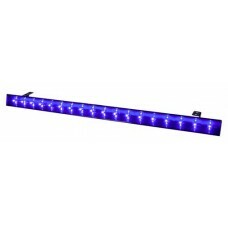 The ECO UV BAR DMX offers users more flexibility and control with built-in DMX-512 protocol (3 DMX channels), a 3-Button DMX display, included IR remote control, AC In/Out power linking from the built-in IEC connectors and three operational modes. 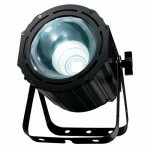 This fixture requires very little maintenance because it’s LEDs are rated at 50,000 hours.